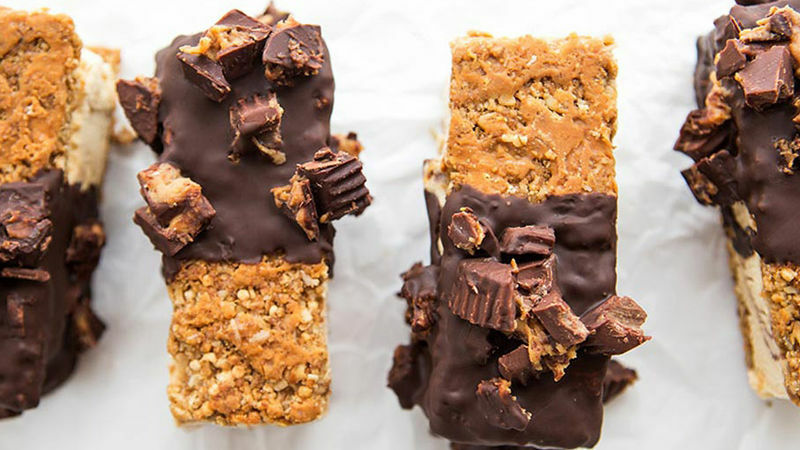 Dip half of ice cream bars in chocolate, immediately sprinkle with peanut butter cups. Return to freezer until ready to serve. For easiest prep, slice a quart-sized cardboard container of ice cream with a sharp bread knife to create 1-inch pieces of ice cream, then cut to fit each granola bar.